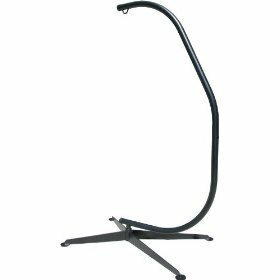 This unique stand will add style to any patio or back-yard. It is specially designed to conform to the shape of your lower back so it's not only comfortable to sit in, but it eases tensions while relieving stress for your spine. View More In Hammock Stands.